Thousands of transvaginal mesh lawsuits are moving forward within courts throughout the United States as injured women seek to hold manufacturers accountable for complications from dangerous surgical mesh products. In one case against transvaginal mesh manufacturer American Medical Systems (AMS), a recent judicial order was issued. The order addressed the request of plaintiffs to disqualify one of the witnesses that the defendant intends to present as an expert. Our Boston transvaginal mesh lawyers know that mesh cases are heavily influenced by whose expert witnesses are most credible and by how convinced the jury is by the testimony of each expert witness. Mesh cases center on highly complex facts including whether the mesh product was the actual cause of harm when used as intended by the patient. Expert witnesses distill key facts for the jury, and having the right experts can make or break the case. In the case against AMS, the plaintiffs made a motion to disqualify a proposed expert defense witness because the witness allegedly switched sides in the litigation. The case is ongoing in the U.S. District Court for the Southern District of West Virginia, and the District Court judge ruled that the witness did not need to be disqualified from testifying on behalf of AMS. The plaintiff’s argument for disqualification was centered on the fact that when mesh litigation first began, the doctor who is now named as a defense witness was consulted by legal professionals who are representing mesh victims. Since the doctor talked to plaintiff’s lawyers, there was a concern that he might have information or evidence from the plaintiffs that could now potentially be used to advantage AMS when he testifies for AMS. The judge, however, indicated that no current or future vaginal mesh plaintiff should find the testimony of this expert on behalf of the defense troubling. His initial meeting with the plaintiff’s attorneys was limited to a single meeting and there was reportedly no confidential information shared with the expert at the time of that meeting. Because of the limited scope of the contact with plaintiffs, the judge believes that there should be no conflict of interest with the medical expert now testifying on behalf of AMS. While plaintiffs may have preferred to keep this expert from testifying on behalf of the defense, most believe that the decision on the part of the District Court judge should not have an adverse impact on the plaintiff’s ability to make their case. The expert has no confidential information about plaintiff’s case strategy that could be used to undermine the plaintiff’s case. Further, the plaintiffs will have the opportunity to present their own expert witnesses in trial to rebut the testimony given by the defense witnesses. The defense was going to need to find someone to testify on behalf of AMS in any trial, so if it had not been this doctor who was going to court to argue for the mesh manufacturer, it would simply have been a different expert who plaintiffs would need to deal with. The key for plaintiffs is to make sure their experts are better qualified and more credible than those representing the defendant. 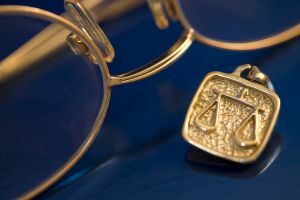 An experienced attorney can help by assisting plaintiffs in building their case using testimony from the attorney’s network of qualified and experienced expert witnesses.